ESA have released a video of the European Student Earth Orbiter ESEO satellite which carries an amateur radio payload. ESEO is expected to launch as part of Spaceflight’s SSO-A SmallSat Express mission, on a SpaceX Falcon 9 from Vandenberg Air Force Base, currently scheduled for Wednesday, November 28 at 18:32 GMT. 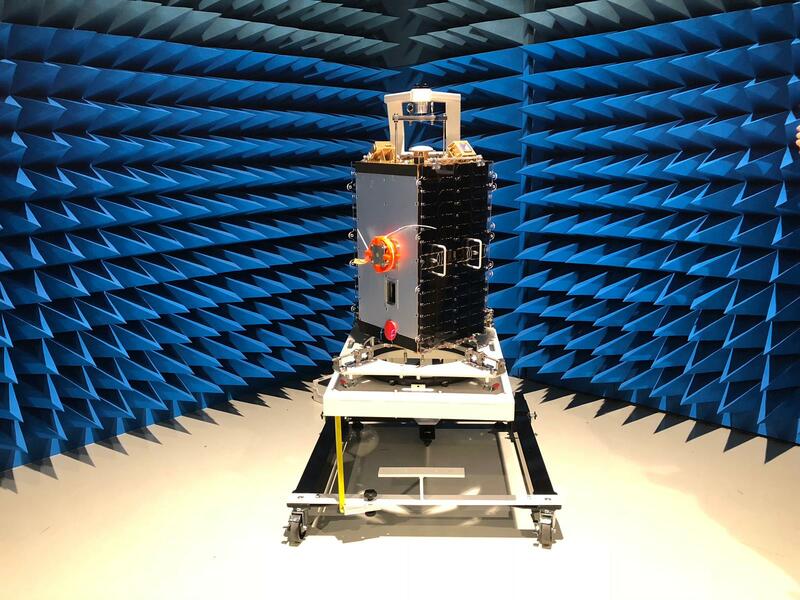 The AMSAT payload, provided by AMSAT-UK in cooperation with the University of Surrey, UK, allows the satellite to establish a downlink connection to hundreds of ground stations in the AMSAT network, sending both housekeeping and scientific data. These data will be used to run science and technology lessons in schools and universities. Radio amateurs will be able to communicate via the 1260/145 MHz FM transponder.